In the Black is the English speaking feature remake of the short film In the Black by Italian filmmaker Marco Fabbro. 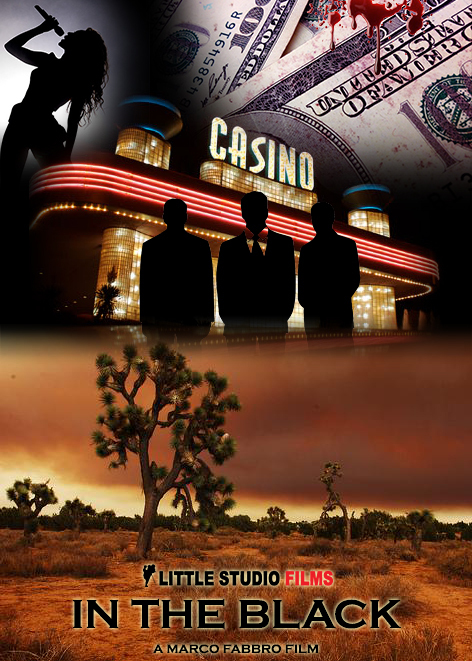 A position managing a new casino ends up too tempting for Michael Fanizza and he soon finds his life crashing down around him as he’s pulled into intrigue with the Feds, conniving women, and a dangerous mobster. In the Black is a tight thriller about a criminal who gets involved in a scheme to take down a mobster seeking control of a Native American casino. Along for the ride is his lounge singer girlfriend, a sleazy lobbyist playing his own angle, and the fellow agents who are his handlers. Everybody has their own agendas that are certain to collide.